David Rizo is a young man of 26 and is a youth leader at the San Enrique Youth Center in La Morita. David has just quit his factory job to attend college. He was unable to do so earlier because his job helped with the family’s expenses. But thanks to the generosity of donors in the United States, David received a scholarship to cover his tuition. He is studying to become a psychologist and will work part-time at the youth center while going to college. David has been part of the Oblate youth group for over 10 years. When he started with the group he was part of a gang. The youth group changed his life. He quit the gang and has been transformed for Christ. David has learned to speak English fluently. He took it upon himself to take a class every Saturday for three years. His English skills quickly benefited him on the job at the Samsung factory. When a new project or idea was to be presented to foreign representatives, David was often called upon to make the presentation. At one point he even won an award in an international competition for his presentation skills. Rich Reader volunteers several months a year with the Oblates at their missions in Tijuana, Mexico. Here he writes about one of the people being helped there by the Oblates because of the generosity of friends like you. The coordinator of the youth group, Fr. Jesse Esqueda, O.M.I. is always challenging his young members. In David’s case, he was sent on a one-month outreach ministry further south in Mexico. While there, David worked on several community-improvement projects and even went door to door asking for assistance, a modern day St. Francis. 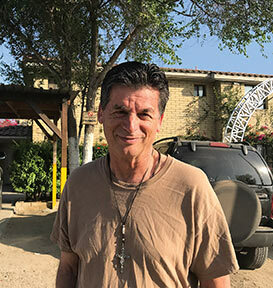 Today, David is responsible for organizing a variety of youth programs for the Oblates in Tijuana. He also goes to start up youth groups in the La Morita mission and helps them begin to build a new sub-group in the parish. David says he starts by just walking the neighborhoods, so that people get used to seeing a smiling face and a friendly wave. The parish youth group at La Morita has about 300 participants and is thriving. David helps the youth provide services to others in the community. 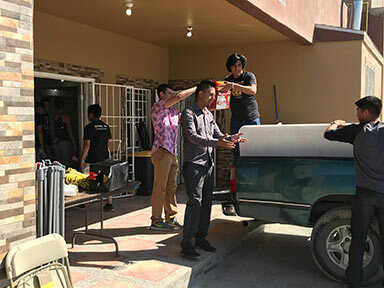 Together they deliver food that is donated to needy families, put on fun events for younger children and facilitate the visits of church groups from the United States. David plans to complete college in four years and then hopes to be of service in the community as a psychologist. He even remains open to the call to the priesthood. David said he is simply paying it forward for the generosity that has been shown to him by the Oblates and their benefactors.